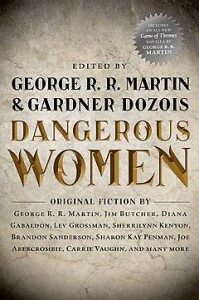 Tor.com has posted another excerpt from DANGEROUS WOMEN, this one from Jim Butcher's story "Bombshells," set in his Harry Dresden series. Well this sure is a treat. A question, if I may. Will You perhaps appear as an author of a short story on more story collections such as this? I loved the "Legends" anthology! I love writing short fiction, but don't expect I'll have the time until WINDS OF WINTER and DREAM OF SPRING are done. These days, I'm editing anthologies rather than writing for them.